“Arbeit Macht Frei”. These words, punched into the grey sky of a cold March afternoon, haunt the empty spaces between the barracks of the camp – a place that is still pregnant with the memory of what happened there over seventy years ago. This was Auschwitz – somewhere that confounds expectation and staggers human arithmetic, and whose meaning is never static. In part, that’s because the camp is at the centre of ongoing controversy. In February, the Polish president introduced new legislation which banned implicating Poles in enacting genocide. It provoked furious reactions from the UN and Israel. The site itself is never far from its own political agenda: there is an emphasis upon culpable Nazis, innocent Poles, and liberating Soviets. Amid all this glorifying and finger pointing, the memorial plaque didn’t even mention the Jewish victims until 1990. Holocaust-related anti-Semitism permeates the news. Just last week, Palestinian leader Mahmoud Abbas was accused of being a “Holocaust denier” by Israeli PM Benjamin Netanyahu for suggesting the Holocaust was a response to Jewish financial activities. Auschwitz is a place of memory, but it’s also perennially relevant to understanding the politics of today. Here are some of my thoughts from visiting earlier this year. 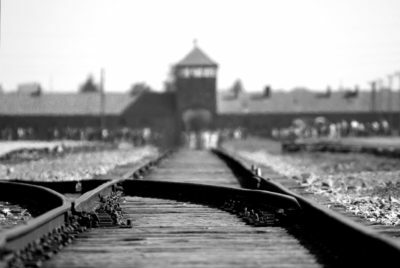 As part of the Holocaust Educational Trust’s “Lessons from Auschwitz” programme, I, along with around 200 other sixth formers, recently travelled to Poland to visit Auschwitz, the camp responsible for the murder of approximately 1.2 million people between 1940 and 1945. The overwhelming majority of those targeted were Jewish – but other minority groups, including Roma gypsies, Jehovah’s Witnesses, and homosexuals were also killed in appalling numbers. 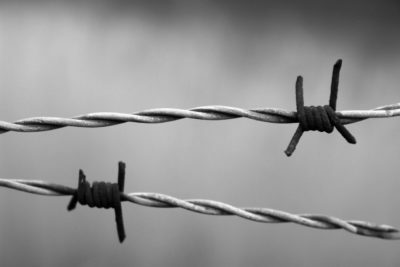 Auschwitz was the primary site of the twentieth century’s worst atrocity – the systematic killing of Jews in Europe as part of the Nazis’ “Final Solution”. Why mass killings happened at Auschwitz is a question with a unique set of answers. A eugenic Nazi ideology, deep-rooted anti-Semitism, and German enthusiasm for a scapegoat after defeat and depression all offer partial explanations. But Auschwitz itself was chosen because of its location. It is near a convergence of two rivers, the Sola and the Vistula, and the town of Oswiecim (Germanised to Auschwitz) is a junction of major railway lines connecting Warsaw, Berlin, Prague, and Vienna. The area is eerily flat, making it far easier to spot and shoot escapees. It was also only an hour west of the Jewish ghetto at Krakow. In some ways, the pragmatism of this latter explanation is far more discomforting than the anti-Semitism of the former. Why? Perhaps because it forces us to recognise that the camp at Auschwitz was determined by things as inane as river convergences, transport connections, and topography. These were the motivating factors behind its construction, just as much as the eugenic motivations of the Holocaust in general. This is an uncomfortable truth; it seems cruel that a place responsible for so much suffering owes its existence to factors as arbitrary as a railway line, or the circumstance of a Nazi officer happening to scout the area at all. Suddenly Auschwitz becomes preventable, and somehow that increases the tragedy of it happening at all. It’s easy to view the past as a pre-determined set of events connected by a clear chain of causality. The Treaty of Versailles caused Hitler’s rise to power which caused the Holocaust. What this means is that we view the Final Solution through a reassuring lens of inevitability. The significant number of collaborators and perpetrators become the unpreventable, and therefore unproblematic pawns of fate and the grand progress of history. But in reality, “Big” history can be as random as the personal histories of our lives. Fortunes can be made on the toss of a coin, and it’s a frustrating and disempowering fact that Auschwitz would probably not have existed with more hills and fewer railways. It didn’t have to happen. Only a mature comprehension of this can allow us to be reconciled with the reality that it did. And only then can we begin to apportion blame and understand why. 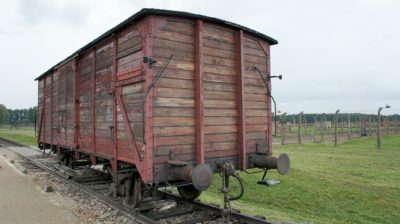 Two things drove this home to me during my Auschwitz experience. The first was one small detail from Rudi Oppenheimer’s survivor testimony. Rudi mentioned how, after living in Britain for a time, he and his family relocated to Amsterdam for his father’s job prior to the Nazi occupation of the Netherlands. I was initially confused – why move from Britain, which would remain uninvaded throughout the war, to Amsterdam, which would be occupied in its earliest stages, and whose Jewish community would be utterly devastated by the Holocaust? But of course, like all Holocaust victims, to Rudi his destiny lay no more in a concentration camp than mine or yours do. Even amid the anti-Semitism of the 1930s, few could have predicted the violence and prejudice escalating into all-out genocide. The second detail was a house key found at Auschwitz II (the death camp) and now displayed there, presumably belonging to one of the victims. Keys are powerful because they suggest an intent to return – you lock a house because you mean to come back to it. Though we can only speculate, it seems this key belonged to someone who, at least subconsciously, fully expected to continue a normal life. The future is always obscure. No one is born to be a victim of genocide; it is never an inevitable product of environment, and in many places, it occurs unexpectedly and to the oblivion of others. The key of a dead man speaks of an interrupted story tragically cut short. Massive events are dependent upon petty circumstance. Genocide, by the very nature of its scale and horror, can seem invulnerable to the actions of individuals. And that makes us complacent in recognising and acting upon its symptoms. Julius Caesar is quoted as saying that “in war, events of importance are the result of trivial causes.” Auschwitz is a result, at least in part, of trivial circumstances, and I think there’s a choice in how we can respond to that. We can either be disheartened by it, or galvanised into action. Contingent events frustrate us retrospectively because they could have been otherwise. Auschwitz is dismaying because we can see how many lives, if not all, the destruction of a railway or the damming of a river could have saved. But the persecutions of the future decade have not yet been fixed by the hands of time. They are ultimately avoidable. And the legacy of Auschwitz compels us to act.